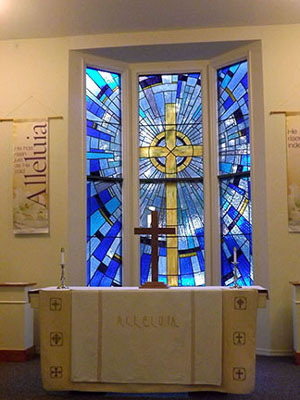 The community at Covenant Presbyterian Church gathers for worship regularly at 10:00 a.m. on Sunday mornings. Through hymns and anthems, the reading and interpretation of the Scriptures, prayers, sermons, and the sacraments we celebrate God’s goodness and seek to understand God’s challenge to us both individually and corporately. We blend praise music and traditional hymns as a part of the worship experience, both are accompanied by piano and flute. Our choir, newly formed, sings once per month. 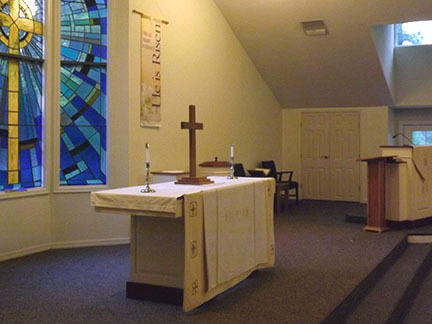 We serve communion once a month on the first Sunday of the month, as well as on the some special worship events. On most occasions we receive communion by intinction which means that worshipers are invited to break a piece of bread from the loaf and dip the bread in the cup. Presbyterians believe in an open table, at which all Christians are welcome. Children who have permission of their parents may participate in the sacrament.